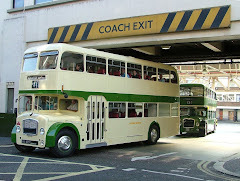 BusWorks Blog: Derek Randall rides again! 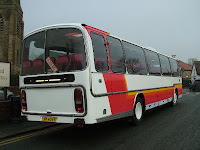 AEC / Plaxton Supreme JIW4045 was new to Derek Randall European Enterprises and its restoration is almost complete after a significant renewal of the main body frame, repanelling and re-glazing. JIW has been returned to its original Derek Randall livery but still awaits application of graphics and lower skirt rubber mouldings. This view was taken on 22nd January on a pre-MoT test run.